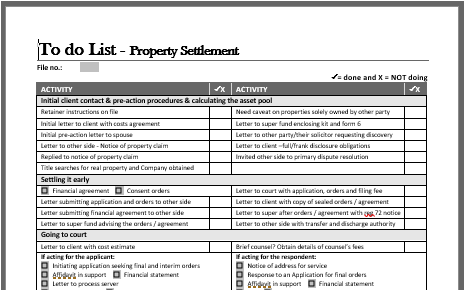 A To do list for the Property Settlement publication was published today. This useful checklist ensures all the necessary steps are readied and prepared for. The precedent may be found in Property Settlement, Getting the matter underway beneath the Retainer Instructions.